Martin Luther's book, Against the Robbing and Murdering Hordes of Peasants is sometimes cited as evidence that Luther had the peasants killed. That is, his writing directed the princes to slay the peasants, so on his order, they did. This common caricature views Luther as somehow in charge of Germany. The princes simply waited for Luther's command and then followed this advise he gave: "Stab, smite, slay, whoever can. If you die in doing it, well for you! A more blessed death can never be yours, for you die obeying the divine Word and commandment in Romans XIII." According to some scholars, The book though was published too late, and the stage had already been set for the princes of Germany to slaughter the peasants. There is some ambiguity as to the actual publication, Brecht sees it as early as May 10, while others place it more toward the 15th. My own opinion is that regardless of what Luther said in this book, the peasants were on their way to be put down by the rulers. Whether each German ruler had a copy of it or not, the peasants were going to be forcefully subdued. The defenders of Rome have a history of charging Luther for being responsible for the Peasant's War (1524-26). Roland Bainton notes that "Catholic princes held Luther responsible for the whole outbreak" (Here I Stand, 281) and "The Catholic princes never ceased to hold Luther responsible for the uprising, and the Catholic historian Janssen has in modern times endeavored to prove that Luther was actually the author of the movement which he so vehemently repudiated" (Here I Stand, 271). At the time Luther's antagonist Jerome Emser wrote How Luther Has Promoted Rebellion in His Books. The argument: The assertion above posits that Luther's influence was of such great merit that this private exhortation took the German rulers from indecision to suppressing the peasants revolt. Hence Luther's influence on these rulers played a significant role. This assertion is arrived at because Luther's treatise Against the Robbing and Murdering Hordes of Peasants may have been delayed in being published in which Luther explicitly exhorts the rulers to suppress the revolt, and this particular defender of Rome has concocted an alternate way to charge Luther with pushing the authorities to slaughter the peasants. Unless it's been deleted by the CAF moderators, my response can be found here. Marius was cited as proof that Luther was responsible for slaughtering the peasants. He says though contrarily that Luther wasn't responsible. 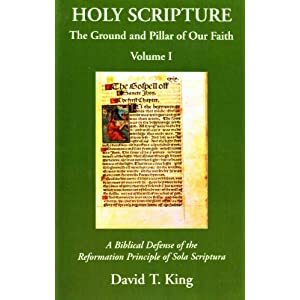 He states, "The nobles did not require Luther to urge them to massacre; they were entirely capable of inspiring themselves to the bloody business that they pursued for several months" (p.432). Marius goes on to state, "Luther was not responsible for these atrocities. Yet to many people, the timing of his diatribe against the peasants made him seem a cause of the slaughter that followed." (p.432). Marius also points out that in Luther's follow-up defense of his harsh book, he condemned the killing of both the guilty and innocent together after the princes were already victorious. "Luther raged against the tyranny of the nobles in books and pamphlets over the next year or so and blamed their merciless conduct for continued peasant unrest" (p.433). It occurred to me to actually go look at the documentation Marius provided for the assertion, "He privately exhorted rulers to strike the peasants hard, to kill them without mercy if they revolted. " Marius gives no documentation of this private exhortation previous to the peasants uprising, specifically the date. Popularly, the Peasant's War proper dates as early as 1524, but I don't think either Marius or this particular defender of Rome has this private exhortation going back that far. According to Marius, Luther was in Eisleben in mid-April, 1525. That's true. LW 49 says he traveled there on April 16, 1525, and from there he wrote his Admontion for Peace. He left on April 21. According to LW 49:106, he then traveled through Thuringia in which he preached to the peasants that they should avoid violence and strive for peace, and this preaching was met with scorn. LW 47 states that by the end of April in the south "There the peasants had launched full-scale attacks upon their landlords and rulers, plundering and destroying castles, monasteries, and churches" (LW 46:47). During this time LW 46:47 states "The cities of Erfurt and Salzungen, among others, surrendered to the foe." PE IV:247 states, " Almost at the same time disturbances began in the neighborhood of Rothenburg and before May 1st most of Franconia was at the mercy of the peasant bands, led byFlorian Geyer and Goetz von Berlichingen." Sometime while traveling though Thuringia, Luther became aware of the extent of all this. LW 46 states the aproximate date of writing of Luther's treatise Against the Robing and Murdering Hordes of Peasants may have been May 4, 1525. It isn't certain of the exact date of composition, but it must have been some time in early May. As I've mentioned before, some scholars say there was a delay in the actual publication of this treatise. Grace and peace in Christ Honored, dear Doctor and Relative: During this whole trip I have constantly been mulling over the news which you told me in parting; therefore I must write to you now from here concerning this matter. To begin with, I urge you not to influence my gracious Lord, Count Albrecht, to be soft in this affair. Let His Grace continue as he has begun, even though the devil becomes angrier as a result and rages more through the demonic members of his body. For we have God’s Word, which does not lie; it says in Romans 13 [:4]: “He does not bear the sword in vain,” etc. So there can never be any doubt that the count’s office was decreed and ordained by God. Therefore, as long as life is in him, His Grace ought to use his sword for punishing the wicked. Should the sword be forcibly struck from His Grace’s hand, then we must endure this and leave it in God’s hands; he first gave the sword and he may take it back when and by what means he wishes. As a result His Grace may have a good conscience, and until death pursue and be dedicated to the duties of his office for the sake of God’s Word; God’s Word has ordained this office for as long as the Word is valid. This is the same as the fact that no one is to abandon any good work unless it is knocked from his hands by force, and no one is to forego an advantage in battle, or stop fighting unless he is overcome. If there were thousands more of the peasants, they would still be altogether robbers and murderers, who take the sword simply because of their own insolence and wickedness, and who want to expel sovereigns [and] lords, and [to destroy] everything, and to establish a new order in this world. But for this they have neither God’s commandment, authority, right, or injunction, as the lords have it now. In addition, the peasants are faithless and are committing perjury toward their lords. Above all this, they borrow the authority of the divine Word and gospel [for covering up] their great sins, and thus disgrace and slander [God’s name]. If God in his wrath really lets them reach their goal (for which they by no means have God’s authority or command) then we shall have to endure it, just as when in other circumstances someone endures, or has to endure, injustice, but does not agree that they [who are making him suffer] are doing the right thing. I still firmly hope that the peasants will not be victorious, or at least not remain so, although God occasionally plagues the world with the most desperate characters, as he has done and is still doing with the Turks. It is a mockery on the devil’s part when the peasants pretend that they do not hurt or harm anyone. Is it not doing harm when they drive out and kill their lords? If they do not wish to hurt anyone, why do they gather in hordes and demand that one yield to their demands? To hurt no one and yet to take everything—that’s the way the devil too would do good and hurt no one, if one would let him do as he pleases. Pure insolence is the [peasants’] only reason for driving out their lords. Why does one not rather improve what is wrong [with the system]? Look at the government of the S. It also began this way, and is now worse than it has ever been. There is no discipline or obedience [among the S.], and they are nothing but mercenaries. In short: if God wants to pour out his wrath upon us and devastate Germany, then these enemies of God, these blasphemers, robbers, and murderers, these unfaithful and perjuring peasants are suitable for this. In that case we [will] endure this and call them lords, as Scripture calls the devil a sovereign and lord. But may God protect all devout Christians from consenting to something like this, or worshipping it—as he tempted Christ to do, Matthew 4:1 ff.—but [rather make us] resist [the peasants] in word and deed as long as we are able to do so, and die for this in God’s name. If the peasants should offer not to harm anyone as long as we yield to them, then we, in turn, should offer to surrender to them, and if necessary to state publicly that they rule over us as unfaithful, lying blasphemers and robbers, and that they do not have God’s right on their side, but only inspiration from the sovereign of this world. [For] the devil boasts in Matthew 4 [:8 f.], that he holds the entire world’s power and glory, and is able to give it to whom he wishes. Both are true, if God ordains it and does not prevent it. I (for whom this is also meant, since the devil definitely wants to have me dead) am well aware that the devil is angry, since up to now he has been unable to accomplish anything, either by fraud or force. He is set to get rid of me, even if he has to attempt the worst and confound the whole world altogether. I almost believe and think that it is because of me that the devil is making such a mess in the world, in order that God might vex the world. Well, if I get home I shall prepare for death with God’s help, and await my new lords, the murderers and robbers, who tell me they will not harm anyone. They are like the highway robber who said to the good coachman: “I shall do you no harm, but give me all you have and drive where I tell you; and if you don’t you will die!” Beautiful innocence! How magnificently the devil decorates himself and his murderers! But I would rather lose my neck a hundred times than approve of and justify the peasants’ actions; may God help me with his grace to do this. If I can manage it, before I die I will still marry my Katie to spite the devil, should I hear that the peasants continue. I trust they will not steal my courage and joy. Their own god, and no one else, may believe their statement that they are not like Münzer. Yes, the letter does suggest that Luther exhorted Albrecht (through Rühel) to continue to suppress the peasants ("Let His Grace continue as he has begun") and not "to be soft in this affair." As to Luther's counsel to Duke John, I have to check into that further beyond Brecht. There's nothing in either of these statements inconsistent with what Luther said earlier in his Admonition to Peace in addressing both the rulers and the peasants. Overall, I think what is being postulated about the impact of Luther's private exhortation is naive, to put it bluntly. Whatever Luther said or didn't say, the peasants would have been killed. Rulers intending to protect their lands and their power generally will take and use whatever they want to, and ignore whatever they want to. If Luther's words had the power of life and death over the peasants, why was the Admonition To Peace so ineffective in controlling those rulers who are said to be so motivated by Luther words? Obviously, Luther's words were not as crucial and important to the rulers as is being made out to be by this defender of Rome. I don't believe Luther's words or opinion about suppressing the peasants actually provoked the killing of the peasants. On the other hand, his words, whether late off the press or not, didn't help them either. Addendum #1: "The lords needed no encouragement from a preacher. When Luther's nasty little tractate appeared, they were already butchering peasants by the thousand." Richard Marius, Luther, a Biography (New York: J.B. Lippencott company, 1974) pp. 200-201. Addendum #2: Luther wrote Duke John of Saxony July, 1524 and presented the same position he maintained throughout 1525- that ruler's have a right to keep order in society by suppressing revolts. So, although I am aware that your Graces will understand how to act in this matter better than I can advise you, nevertheless it is my humble duty to do my part, and humbly to pray and warn your Graces to fulfill your duty as civil governors by preventing mischief and forestalling rebellion. Your Graces may rest assured in your consciences that your power and rule was given and commended to you by God, that you might preserve the peace and punish those who break it, as St. Paul teaches in Romans. Therefore your Graces should neither sleep nor be idle, for God will demand an answer and reckoning from you for a careless or spiritless use of the sword. Moreover your Graces could not excuse yourselves before the people and the world if you allowed rebellion and crimes of violence to make headway.